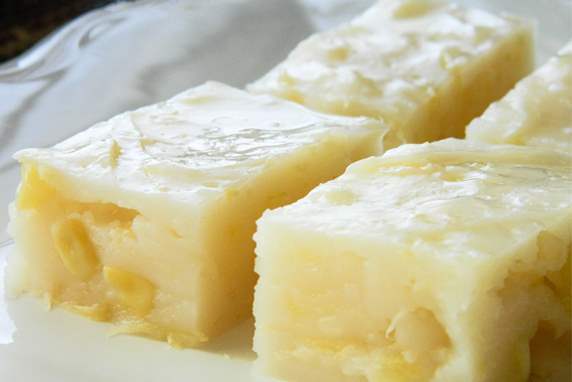 Maja Blanca – Axelum Resources Corp. Combine all ingredients in A & B in separate bowls. Bring mixture A to a slow boil over medium heat stirring continuously. Slowly pour in the second mixture. Let it continue boiling while stirring well. When thick, place in a pan lied with butter top with toasted coconut. Makes 16 servings. Do you have recipe to share using our product? Feel free to send it to us. 2-10 Carson Avenue, Keysborough VIC 3173. Melbourne, Australia.